As the diagram below shows in this example a wire frame with bird-wire on top and all sides is used to enclose sections A and B. Inside is a laying box, the overgrown and tough plants which will be removed by willing chicken workers. 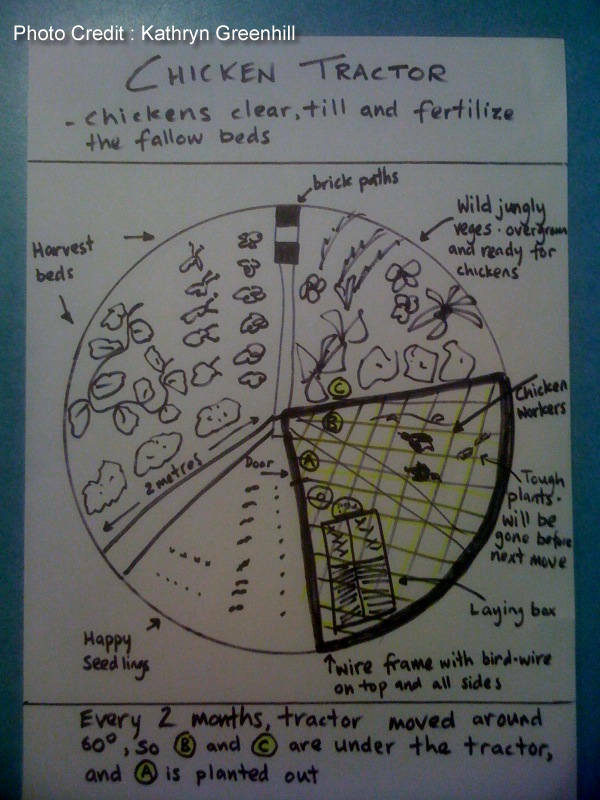 Every 2 months, they will be moved around 60 degrees to the next section of wild jungly veggies, overgrown and ready for the chickens, so B and C will then be under the tractor, and A is then planted out. 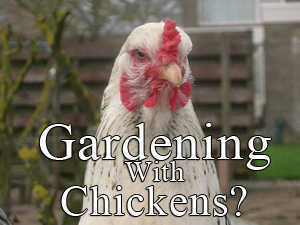 It is not absolutely necessary to put your chickens to work on your gardening tasks. 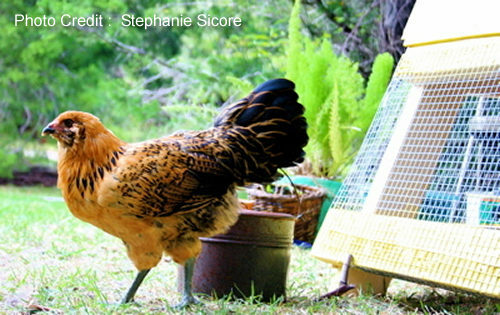 A chicken tractor could be used as a moveable coop for the purposes of saving space, giving your chickens a change of scenery, and easing the burden on your ground – or simply as an ocassional safe haven if they can’t free range safely. Even with regular movement if you have a fairly small backyard, it is almost certain your grass is going to be exchanged for mud fairly quickly.